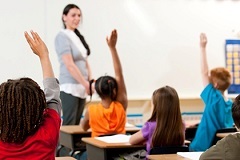 We need a full-time, dedicated person, not a part-time consultant, whose concern is the kids says State Superintendent. 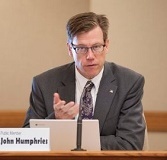 MADISON - In Wisconsin, January 5, 2017 news reports showed State Superintendent candidate John Humphries had resigned from his full-time position; however, on the same day, he received a $650/day contract as a consultant by the same district. The school district approved his resignation and hired his consulting company in the same December 12th meeting. Humphries is listed on the district’s website as the Director of Pupil Services/School Psychologist. 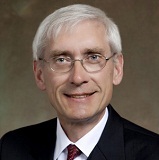 “Our concern is for the kids in the school district," said Tony Evers' campaign manager, Amanda Brink. "They need a full-time, dedicated person, not a part-time consultant. Now more than ever, we need to make a concerted effort to put every dollar we can afford into the resources our kids need to excel. 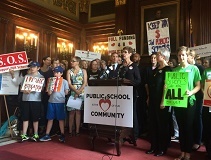 In talking with school leaders across Wisconsin who faced these tragedies first hand, Tony has heard clearly that our frontline staff need more support and resources to address mental health and substance abuse issues."